I have read some pretty amazing books so far this year and it was pretty hard to pick out some of my favorites! I can’t wait to see what else I read this year! Also, this are in no particular order! A Thousand Beginnings and Endings and Summer of Salt are both on my TBR list but I haven’t read either of them yet. It’s great to hear that you enjoyed both of them! COBAB is one of my fav too!! Prince and the Dressmaker and A thousand Beginnings and Endings are in my TBR. Hopefully I could read them soon! I love the cover of Summer of Salt. It definitely caught my eye! Summer of Salt is a book that I just wanted to hug. It was so good. I’ve heard Furyborn is really good. And I kinda want to get A Thousand Beginnings and Endings- I just love the idea of that anthology. ATBAE is AMAZING! I had so much fun reading it! The Belles has been one of my favorites of the year as well! I loved the sparkly dark soul of it! OMG I love that description! I’m reading Children of Blood and Bone atm! Did you enjoy it? It is my number one book of the year that I have read so far. I still need to finish Lady’s Guide to Petticoats and Piracy as well as Kingdom of Ash. Really? High praise indeed! I haven’t read either of those, I’ve never heard of Piracy 😮 what’s it about? It is the companion books to Gentleman’s Guide to Vice and Virtue. It js fabulous!!!! Ooh I’ve heard of those! I’ll look out for it! I’m reading Children of Blood and Bone at the moment, glad to see you enjoyed it! I read Crooked Kingdom this year as well but was sadly disappointed-glad you weren’t though! 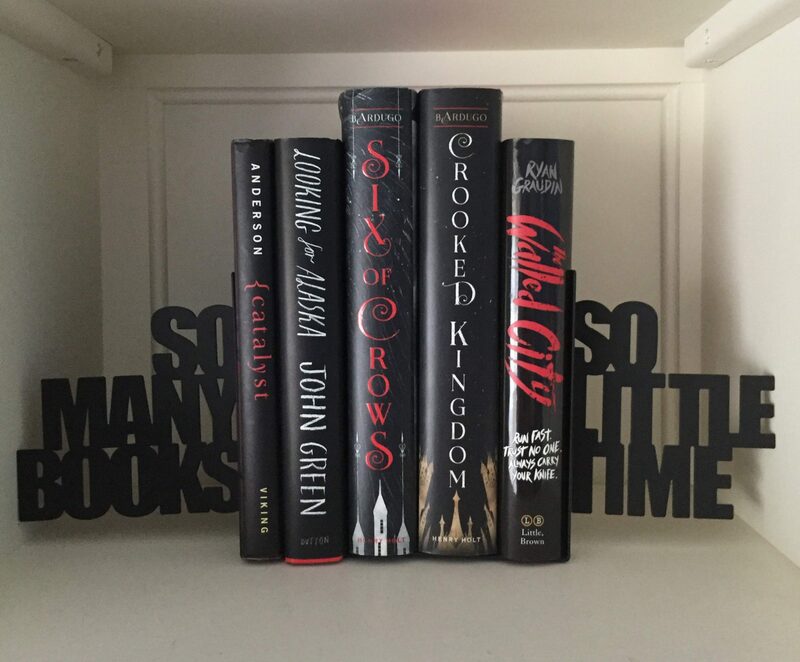 Literally all of these are on my tbr. I am an Ashley Poston fangirl so I especially need to read Heart of Iron. I’m glad to see you loved it!! Furyborn has been getting so much attention this year, I’m glad to hear it’s so good. I have Summer of Salt on my TBR! I loved Reign the Earth! It made my list and I love that it’s on yours! I’m dying to read Furyborn – it looks AMAZING!! Children of Blood and Bone is on my TBR list. I’ve seen so many good reviews. I’m glad it lived up to the hype for you. Sooo many books that are on my TBR, haha. Glad to see Summer of Salt on your list, it was a really nice book! I haven’t had the chance to read any of those yet, but Furyborn, The Children of Blood and Bone, and the Six of Crows duology all sound interesting to me.